Reduces the appearance of pores, fine lines and wrinkles in the immediate. 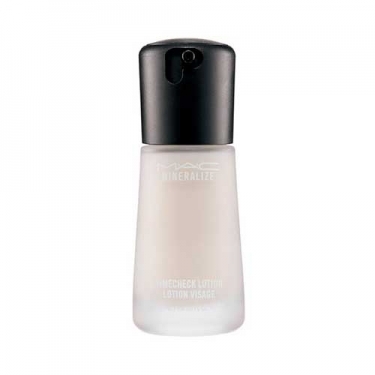 DESCRIPTION: Mineralize Timecheck Lotion from M.A.C. is an anti aging facial care. With the addition of a technological polymer, it creates the illusion of fading wrinkles and fine lines while reducing the appearance of pores. Enriched with the Super-Duo Charged Water complex, it moisturizes, nourishes and densifies the complexion. The gel texture is refreshing as if it were water. Can be used as a makeup base. Ophthalmologically and dermatologically tested. Non-comedogenic. Apply evenly on clean, dry face.